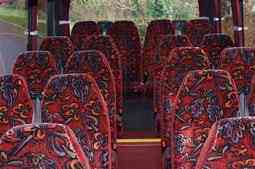 Coachhiredurham.com offers a range of services providing coach and minibus hire in Durham and the surrounding area. We provide you with the ability to book your coach or minibus hire online or by calling our dedicated team. Our specialist team can help you obtain the right vehicle at the right time to meet your needs. They can help save you time and money with competitive offers that suit your needs and budget. When you call us, we take the time and stress out of all the booking arrangements by providing you with a fast, efficient and knowledgeable service. When you book with us, our call team will ensure that we get you to your destination safely and in comfort in one of our modern air-conditioned minibuses or coaches. Durham is a historic city and the county town of County Durham located in North East England. It sits on the River Wear and is located to the south of Newcastle upon Tyne, to the north of Darlington and the South West of Sunderland. Durham has a long and varied history going back to AD 935 when it was first established. It has both a Norman cathedral and 11th century castle. Both sites were designated a World Heritage Site by UNESCO in 1986. In 1832, the castle became the home of Durham University. When you hire one of our minibuses or coaches, Coachhiredurham.com can accommodate a range of different activities that involves minibus hire in Durham or Durham coach hire. Weddings: So that your special day is a memorable one, we can provide you with transport not just for the wedding party but also post-reception transport as well. Funerals: At what may be a difficult time, our customer focused service will help ensure that the funeral arrangements go smoothly and without any hassle. We will ensure that our service means that you can concentrate on those things on the day that are important. Airport Transfers: Being approximately 25 miles from Newcastle International Airport we can take you in comfort from your door to the airport in plenty of time for you to check-in. Minibus/Coach Tours: Whether it be a small or large group, our drivers can take you to some of the best and scenic destinations in and around Durham. 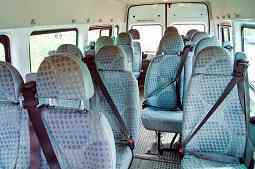 Minibus Hire: We can provide you with a minibus, complete with a driver that can take you and your group to anywhere you need in safety and at an affordable price. We remove the need for you to carpool or worry about who the designated drivers will be. Corporate Events: Do you have a group of important clients or delegates to a conference that you want to provide transport for? We can provide a coach or minibus that can meet your corporate needs. Nights Out: So that you can enjoy your night out, we can provide you with the perfect vehicle that will transport you in and around Durham without having to worry or think about a designated driver. Hen and Stag Nights: If you are organising a night of adventure for you and group of friends, we can make life easier by taking over the designated driver duties. Event Transfers: Durham and the surrounding area plays host to a variety of different events throughout the year. With our minibuses, we can help ensure that your group arrive on time so that you do not miss a moment. The Durham Streets Summer Festival – The August Bank Holidays sees Durham play host to musicians and street performers as they entertain the summer crowds on the streets of Durham. BRASS 2016 – will see Durham come to life in July with the sound of bands playing a packed programme of jazz, funk, classical, traditional music and much more. Durham Book Festival – Takes place every October and celebrates all things books with author discussions and interactive events. Durham Christmas Festival – The city’s traditional Christmas festival takes place at the beginning of December each year providing excellent Christmas shopping opportunities and entertainment. Durham University also hosts a number of events throughout the year. For more information about what’s on offer in Durham why not go to http://www.thisisdurham.com/whats-on. At coachhiredurham.com, you are our number one priority. Whatever your needs we aim to provide you with a service that is second to none. 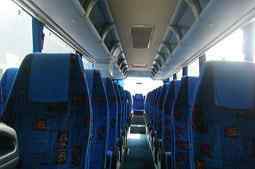 Whether it be minibus hire in Durham or Durham coach hire, if you choose our service, our specialists will take care of all your needs so that you do not have to worry.